More and more, funding agencies are asking for preproposals or letters of inquiry to preview potential applicants. Typically the agencies request a brief summary of the project, personnel, and budget (although this may vary). The sponsors review these summaries and some applicants are invited to submit formal applications. 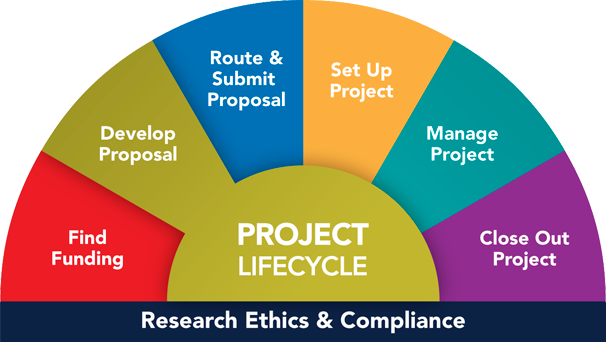 The University of Michigan's eResearch Proposal Management (eRPM) system allows for the preparation of a preproposal (PRE) as well as proposal approvals (PAF). When is a pre-PAF needed? ORSP has a Standard Operating Procedure (100. Pre-Submission) that helps to determine when to use PRE and when to use PAF. Always feel free to contact your ORSP project representative regarding preproposals, preapplications, or letters of inquiry. What are the considerations and materials you need to write a proposal, create a budget, and prepare for submission to a sponsor? Read (and re-read) the guidelines, the funding announcement (FOA) or request for proposal (RFP). Every one is different -- even if they come from the same agency. Prepare to route and finalize the proposal in the eResearch Proposal Management (eRPM) system. Defer discussions of indirect cost arrangements to ORSP. Data Sharing - Contact our ORSP Data Research Specialist to provide guidance in drafting data sharing plans and data use agreements (DUA). Download an Excel file to help you manage current and pending support for ongoing projects. The file you will download contains an Excel spreadsheet. This is the version that is clean and ready for fresh use. Please note: This won't work well on a Mac; you' need to use a PC to utilize the forms. It won't solve the world's problems, but it's a start! This resource is provided by the RAAC Metrics Subcommittee. This Excel spreadsheet has some sample current and pending data in it so you can open it for examples of forms and/or to view output without having to enter data. Please note: This won't work well on a Mac; you' need to use a PC to utilize the forms. It won't solve the world's problems, but it's a start!